It’s the puuurfect time to discuss some weird hooman superstitions, after all it’s Halloween and what better way to get in the spooky spirit then to talk about the darker colored kittens of the night? 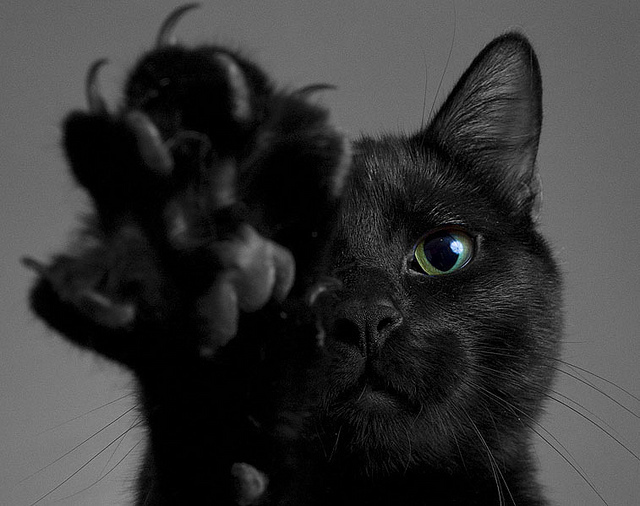 Black cats have been scrutinized for centuries from Medieval Europe to the Pilgrims of Plymouth. Fear inducing, hair tingling, beasts they’d have you think! Only they’re not beasts, Bombay’s are one of the most loving breeds of cats you could get. Medieval Europe had numerous superstitions such as receiving bad luck if one crosses your path from left to right or their presence means you’ll be cursed! Wow, now that’s some scary stuff! If only the people back then realized what loving, adorable, and overall wonderful pets these kitties were… nay are! On the other hand, the Pilgrims in Plymouth distrusted these cats due to associating them with witchcraft. 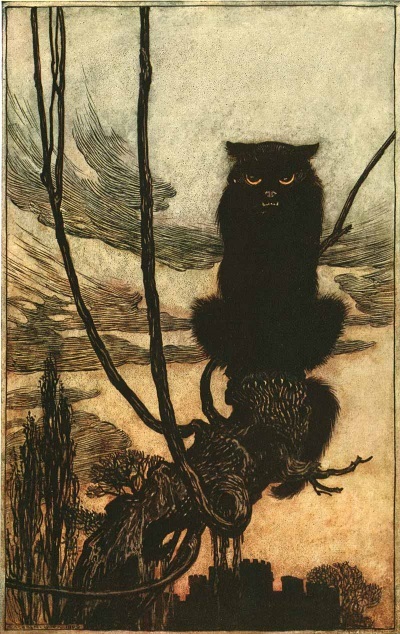 They truly believed that black cats were minions of these so called “witches”. This cemented their position in popular legend right alongside witches, leading to decorators using them as a popular Halloween symbol of fright! Modern day still parades these cats as symbols of spook during the October weeks. These lasting superstitions have had lasting effects such as adoption rates for black kitties plummeting during this frightful holiday. Consider adopting one of these fur babies and giving them a loving home, where otherwise they may not find one.